Business leaders and communications experts discuss how companies can ensure that employees stay informed. 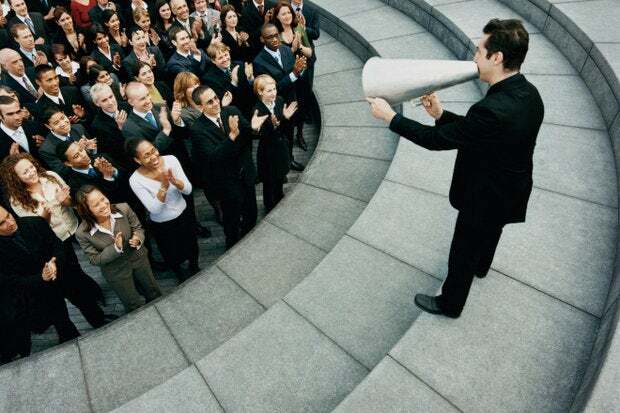 Today, organizations have dozens of options when it comes to employee communication. To find out which communication solution work best, and when, we queried dozens of executives and communication experts. Here are their top five picks for how to keep workers up to date on what’s going on within their team, department or the company as a whole. Despite the proliferation of communication tools, sometimes you just need to meet with your team or department face to face, in a group. “Having regular meetings with remote team members is almost more important than making sure to carve out time with those who are in-house,” says Chris Battles, vice president and general manager, Citrix, a provider of Web-based meeting and collaboration services. “The modern way to communicate with teams of employees is with a group chat app,” says Toshi Yamamoto, founder & CEO, ChatWork, a group chat service provider. “The best group chat apps for business on the market today combine chat, video chat, task management and file sharing in one place to keep teams productive, engaged and communicating in real time,” he says. “Email communication is and will remain the bread and butter of business communications. It’s a convenient, established way to send information to a large group of people,” says Nigel Johnson, vice president, Business Development, Zix, a provider of email encryption. “Since roughly one in every three people worldwide has an email account, employers can rally behind email-driven communications with the peace of mind that almost everyone in business is familiar with the platform. “That said, companies that rely on email as a main communication tool should ensure they have proper security in place, specifically encryption technology, to protect emails containing sensitive information from prying eyes,” he says. “A company Intranet is a great place to store information and documents that employees frequently ask for, such as the paid holiday calendar, time-off request forms and a schedule of events,” says Doug Pinckney, president of Pinckney Hugo Group, a marketing communications firm. “At Ford our @Ford Online portal is the central point for receiving news and accessing tools,” says Tatchio. “Our employee communications principles center around delivering relevant, timely and consistent information to all audiences. Ford employees know that they can find whatever they need on @Ford Online."